- The leveling & item creation mechanic works really well. - Missing some very important multiplayer features. - Weak and unmemorable Storytelling. - No real interactive characters. Ever since the Fallout franchise was acquired and developed by Bethesda, the series has gone from strength to strength. Each release in the series has been distinct in it’s own way, with the desolate and unforgiving Capital Wastelands of Fallout 3, the ritzy, charismatic New Vegas strip or the sense of opportunity and adventure in the Commonwealth in Fallout 4. It’s with that, then, that it’s hard to see where Fallout 76 falls in the series. 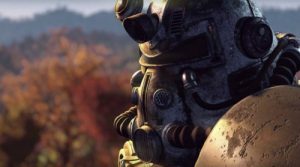 It brings with it a new multiplayer experience, allowing friends to adventure with you as you battle through the wastelands, however first you’ll have to battle through the multitude of bugs and glitches that exist in Fallout 76‘s Appalachian wasteland. Fallout 76 predates every other Fallout game in the series and, like its predecessors, has an underlying theme in its story. With Fallout 76 the theme is a renewed sense of hope in rebuilding a broken world. The game has players venturing out from Vault 76 into a world only 25 years after total nuclear annihilation to rebuild society. This ties nicely into the renewed focus on survival and building in Fallout 76. 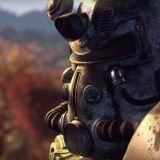 Whether intentional, the fact that the game is set so soon after nuclear war might be an attempt to explain the first and most notable oddity of Fallout 76; the lack of human characters you can actually interact with. 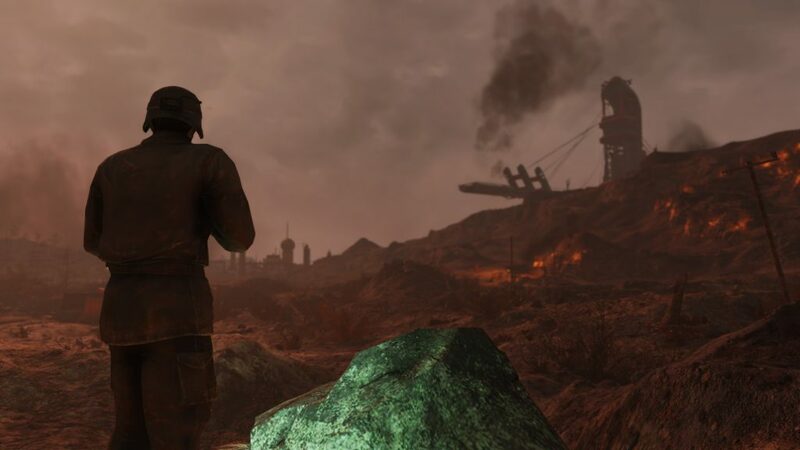 Robots exist to fill the gaps as vendors and sometimes quest guides, but in a game that seemingly focuses on hope, the lack of other characters in the Appalachian wasteland makes it feel more eerily desolate than Fallout 3. Just waiting on this server to load. The theme of hope gets further undercut with stories and quests which are at best uninteresting, and at worst a chore. Early on, the game uses the main quest-line to introduce the core survival, shooting and building mechanics to players and later on tries to further tell the stories of the Appalachian wasteland. A big knock-on effect of not having any real human interaction becomes apparent trying to complete these missions, there are no interesting characters to help carry or humanize these story. Large sections of the story is expressed through terminals and holotapes, combined with the multiplayer aspect of the game, it makes it very difficult for players to get invested, or even follow anything happening in this wasteland. This is made worse when players reach the end-game content that becomes repetitive and dull and because of this, the multiplayer and emergent gameplay either makes or breaks the experience in Fallout 76. Fallout 76 tries to do what similar survival games have done in the past, trying to combine a first-person shooter with multiplayer, survival, and base building into a game that after the quest lines are finished is driven by emergent gameplay. However, Fallout 76‘s multiplayer lacks many of the core features necessary to enable this. The base building feels very similar to Fallout 4, and appears to use almost all of the same mechanics, but a large amount of the content from 4 appears to be cut, while a lot of what is included is locked away and can only be unlocked by leveling up and playing missions. The survival aspect has been developed a bit more than the previous survival modes of Fallout 3/New Vegas/4, but the core mechanics are largely the same, with some elements really needing further balancing. Re-balancing of item weights, total carrying capacity, the chances of getting disease and drop rates are needed to make the game more accessible and less punishing to both new and casual players. It’s the multiplayer aspect which is especially lacking, at the time of writing core features such as push-to-talk voice communication, text chat, and a player list for the current server are all missing from the game. Gestures and teaming up can only carry the multiplayer experience so far and in a vacuum would suffice for a game’s initial release, however it’s the bugs and glitches which really taint the multiplayer experience. Bethesda’s open world games are buggy, almost by design, the immense, deep, open worlds that they’ve developed for the Fallout and Elder Scrolls series make them incredibly difficult to bug-test. It’s the price paid for these amazing worlds, but in Fallout 76 the apparent bugs and glitches are bad even by those standards. Multiplayer, especially survival multiplayer, is difficult to implement and balance, 5+ years of Rust development can attest to that, but some of the bugs in Fallout 76 are pretty fundamental and game-breaking. Server stability and network reliability have been consistent issues, the social menu/friends list doesn’t load or navigate correctly, GSync barely works, characters and player-made building fairly regularly won’t load in and hard crashes of the game itself are common. These are just the most apparent of the issues plaguing Fallout 76‘s release and while a certain level of issues are acceptable in 2018, the fact that Bethesda ran it’s B.E.T.A (Break-it Early Test Application) and still released the game in this state is disappointing and hurts its long-term interest. It’s hard for people to get excited for the new content for a game that came out in such a state, which is a shame because there is nothing fundamentally broken in Fallout 76. …Meanwhile other places resemble lush forests with no hint of nuclear fallout in sight. Many of the audio and graphical assets of Fallout 4 have been reused in Fallout 76, however this is far from being a negative point. Fallout 4 has aged very well in the 3+ years since its release and its assets are well optimized for most platforms. With a world that is much larger, more varied than the Commonwealth in Fallout 4 and with plenty of new creatures and enemies, the Appalachian wasteland almost invites you to go out and explore it all again. Even the music and radio stations are more diverse. There’s also a much better item development curve than previous Fallout titles, as leveling up to build better weapons and armor is a core mechanic of the game. As a system it appears to work much better than many other survival games, as does going out on the scrapping runs needed to improve your character and your base. There’s a positive feedback loop on character building that’s core to the Fallout 76 experience, and that is a genuinely fun adventure, made better when you’re in a party with friends. 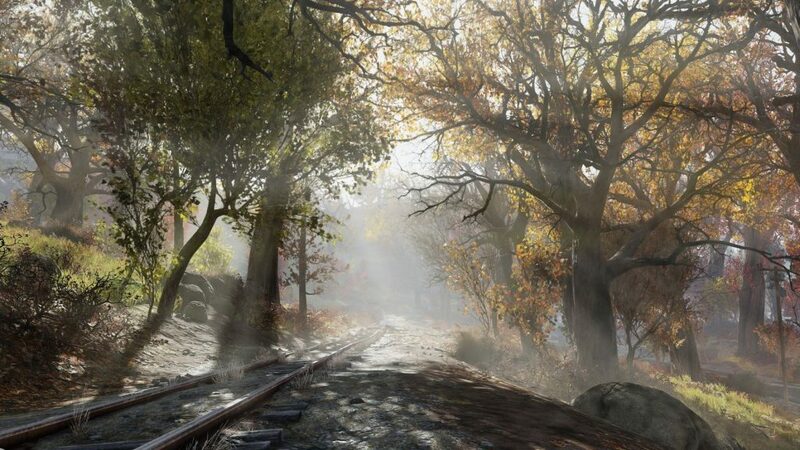 The core theme of Fallout 76 is one of hope; hope for a better tomorrow as the trailer puts it, and it seems the game has taken this to heart. If the state of Fallout 76‘s launch is anything to go by, then in a very meta way its release is also one of hope. The lack of a compelling story and human characters, the litany of glitches and bugs, and missing multiplayer features does not fundamentally break the experience, and there are some solid core mechanics to this game complimented with an amazing world that can be built and expanded upon. 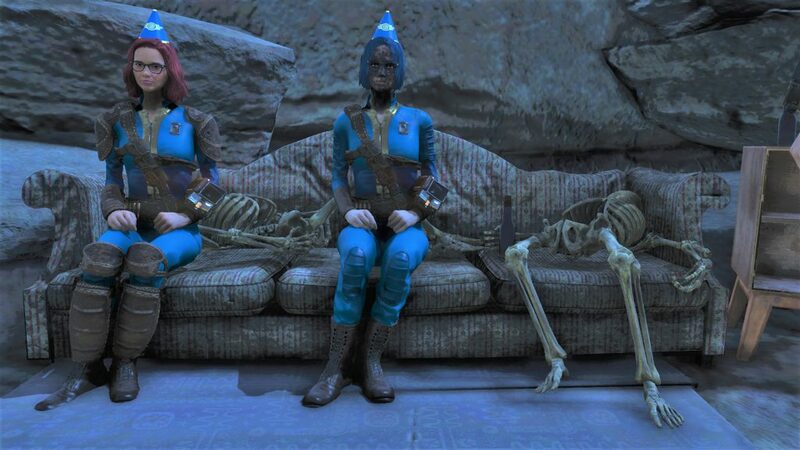 While Fallout 76 may not be great today, with continued patching, content releases, and development it can definitely become a compelling adventure to play with friends.